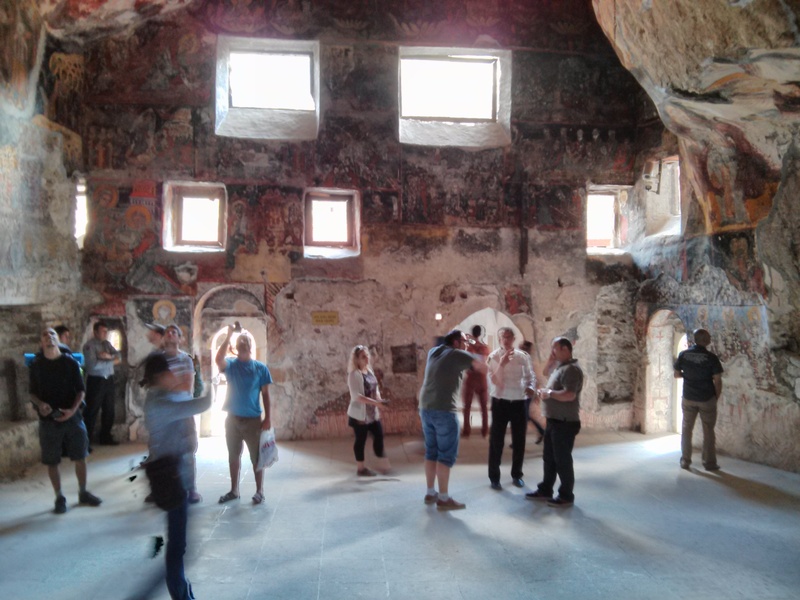 There are a lot of ancient buildings in Europe and elsewhere that hang over cliffs, or dangle between precipitous walls, but I have’t quite seen one so remote from civilization, nor so ornate within, as the monastery at Sümela. The interior mosaic inspires just a touch of natural awe, while the hike there and pristine surroundings can’t help but impress. 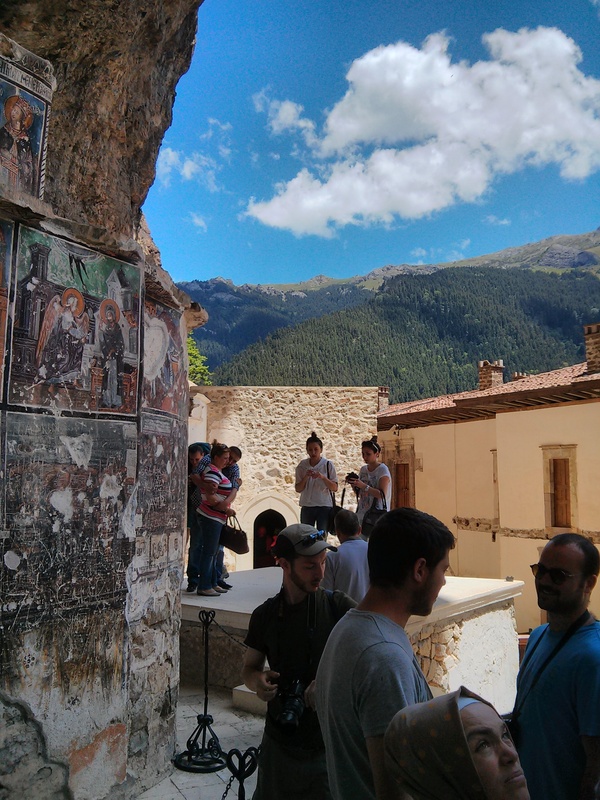 Imagining the effort and dedication of generations of the devout to build and maintain this mountain hideout during the late byzantine era is fairly inspiring. 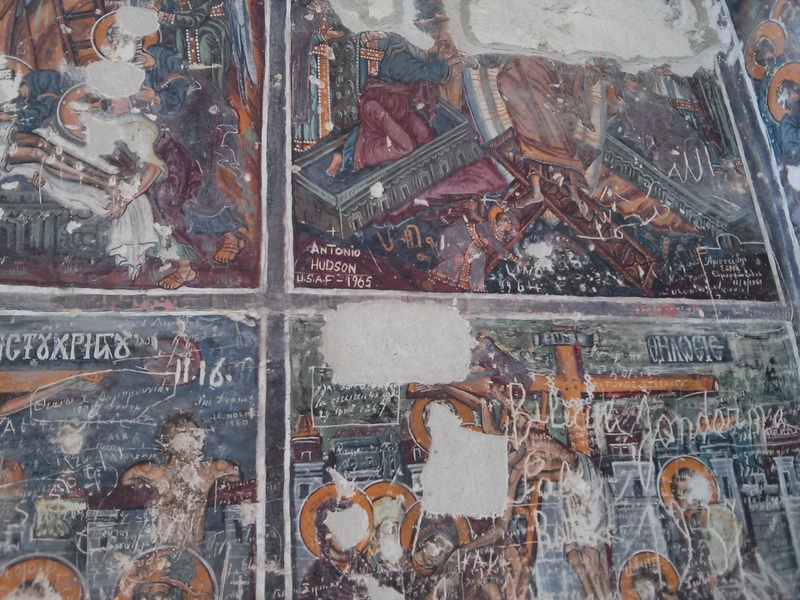 Like my post elsewhere on Istanbul, the Sumela monastery is a showcase of layers of history. Quite literally. Layers of different frescoes hundreds of years apart are plastered one atop another, with an incidental icing of modern graffiti in several different languages. Its something unique to not only be surrounded by a beautiful vista of countryside, but in addition to have this bizarre testament to the accumulation of human activity – of a thousand years – at your fingertips. Who did these people know? 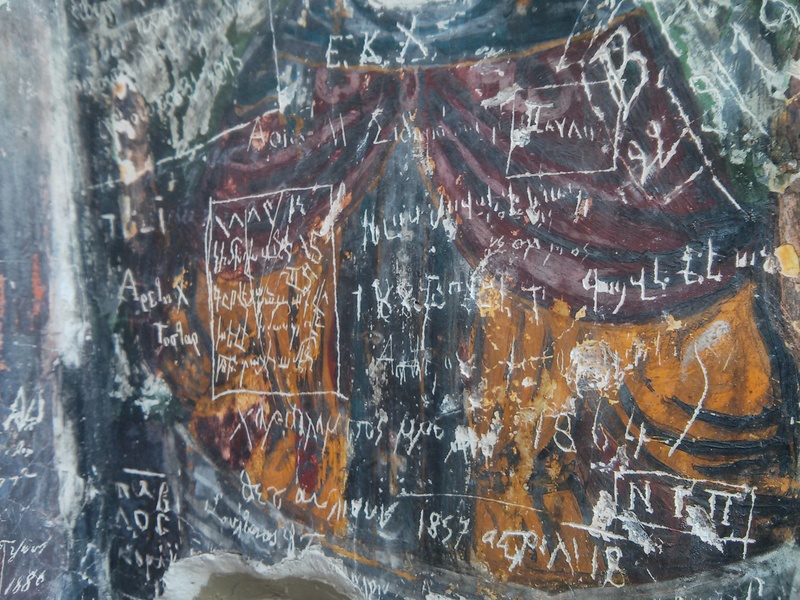 What were they thinking as they scratched, cut or scrawled into the old plaster of these walls. Beyond that, who were the monks who frequented this remote hilltop retreat? How did a winter pass when hiding in a cave elevated from the valley floor by hundreds of feet? The answer to most of these questions is, honestly, no one cared. These people passed through these spaces with little a thought of either the deep past or the distant future. The air force sergeant that hoped some random tourist would consider his name when marvelling at the fresco damage is no doubt, a rare one. But such is history, it is not so much a narrative of great acts, as a constantly re-coated layer cake of forgotten souls. Each new layer obscures the last, each generation forgets the last, each new empire erases the past. History truly is not uncovering what there is to know, so much a choosing what to tell to the present. It’s not just the fact that we cannot know – all the multiplicities and infinite complexities of every scratch from every finger in time – it’s that people don’t want to know. We create state projects, and personal projects; we reinvent ourselves, we proclaim a new era in government; each level of human society harbours a willing blindness to its past in an effort to become new, in pinning some hope on a new identity and a new accomplishment. We choose to forget.